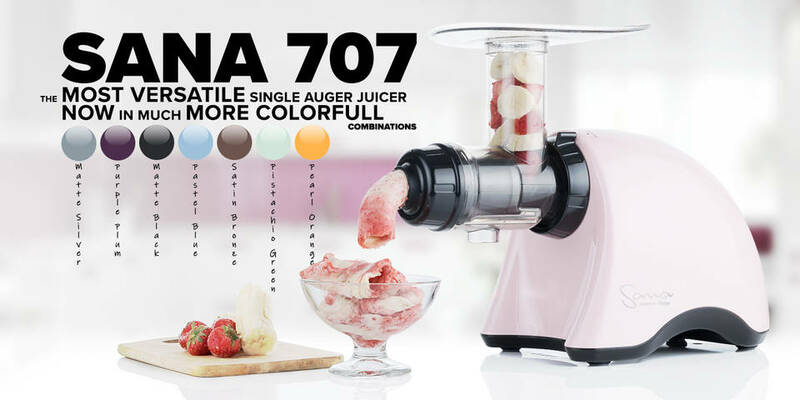 Probably the easiest juicer to use. Huge feeding tube, powerful motor, and Omega quality. Borosilicate Glass Bottle 500 ml. Ideal for taking juice or smoothies on the go. Vertical juicer with large feeding tube. There are a lot of products claiming to be “the best”, but very few live up to those claims. It’s becoming more difficult to sort through all the sponsored and false reviews out there to find the truth. We’ve even been approached ourselves by “professional” reviewers offering to give a glowing review in exchange for compensation. That’s why we personally test every product before we offer it for sale. We only offer products we would use ourselves. Beginning in 1992 with products like the Champion Juicer, we have tried and tested hundreds of products. 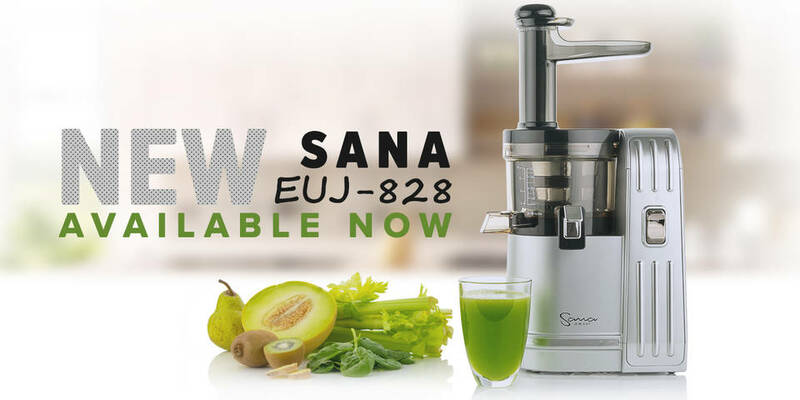 We have relationships with many of the top manufacturers including Omega juicers, Vitamix blenders, Sana Products, Excalibur dehydrators, Komo grain mills, and Angel juicers. Our focus for over 25 years has been on premium kitchen appliances for healthy living. We have been testing and using the products we offer for so many years that we know which will stand the test of time. Take for example the Angel juicer: built like a tank, but with a beautiful design, this juicer will give years of trouble-free service. Another is the classic Excalibur dehydrator – a simple yet highly efficient product that we’ve been personally using for years. But we’re also always looking for innovation. We see hundreds of new products every year at trade shows, but very few impress us enough to offer them. One that did is the new Sana Oil Extractor. An attachment for several models of horizontal juicers, this ingenious product easily extracts oil from many different nuts and seeds. We’d never seen anything like it, and the stainless steel construction is solid. Another innovation is vacuum blending – removing the air before blending to reduce oxidation, which has been an unsolveable problem since the invention of blenders. 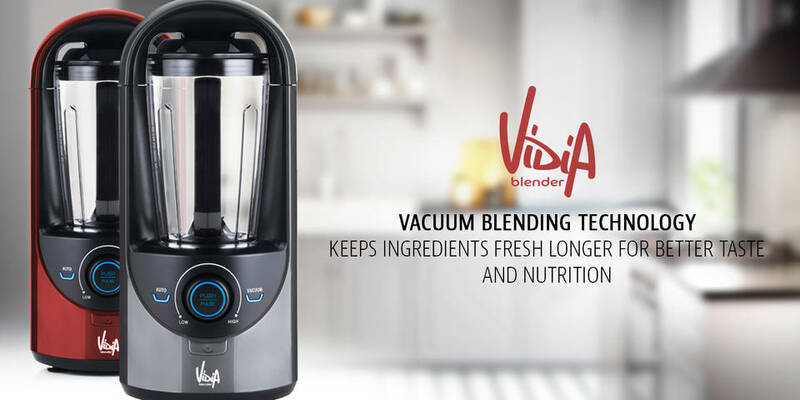 That’s why we offer the Vidia Vacuum blender, a mid-priced blender that may not have the raw power of a Blendtec or Vitamix, but it will make the best and most nutritious smoothies you’ve ever tasted without oxidation. Unlike the faceless corporate eshops, we’re here to help you with expert advice and service. Contact us if you have any questions, and we’ll be sure to get back to you right away. We stand behind everything we offer, because we only offer the best.